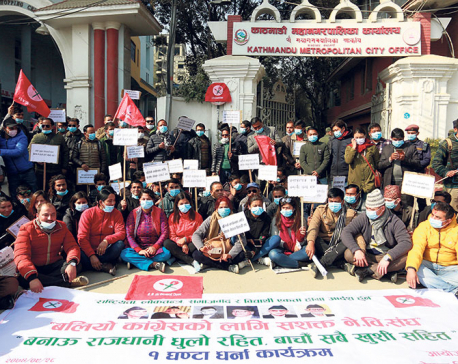 KATHMANDU, Sept 26: The Supreme Court has issued the final verdict in favor environment conservation efforts, ordering a clamp down on extreme air pollution in the Kathmandu Valley. Responding to a writ petition filed by Environment Development and Conservation Law Forum (EDCLF) in January last year, the apex court has issued the final verdict on January but the text was publicized only on Tuesday. The text contains an elaborative 11-point instruction to the government, mentioning the various measures it needs to take to honor the ruling. The verdict has instructed the government to strictly implement its decision regarding management of vehicles older than 20 years and monitor vehicular pollution. Likewise, all the local units have been instructed to deploy sufficient human resources for cleaning up the roads. The court has also demanded coordination among various projects and agencies to ensure minimal dust pollution while destroying or rebuilding roads and other infrastructures. The government agencies have been instructed to prioritize health of residents and take measures to ensure minimal dust pollution during such works. As per the verdict, stakeholders are required to compulsorily use nets around reconstruction sites to ensure that pedestrians and vehicles are not affected by the works. Roads dug for pipe-laying works should be immediately covered after the work is done. Likewise, the projects should take various efforts, such as water sprinkling and using road brooming machines, in order to ensure that dusts are contained. The government has also been instructed to develop mechanism to monitor air pollution in sites where construction works are taking place. As per the ruling, the government has to set up pollution monitoring station in the sites where development works are taking place and ensure that pollution limit is not crossed through regular monitoring. The defendants are 18 agencies of the government, including Office of the Prime Minister and Council of Ministers, Ministry of Federal Affairs and Local Development, Ministry of Physical Infrastructure and Transportation, Melamchi Drinking Water Project, Kathmandu Upatyaka Khanepani Limited, and Ministry of Health. 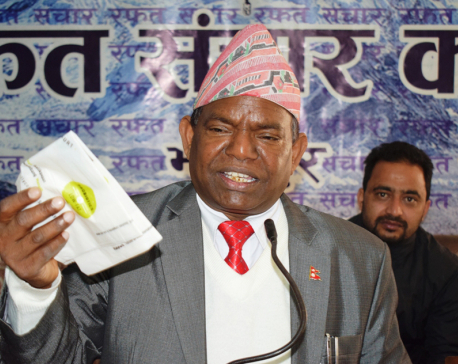 The writ petition was filed by advocate Padam Bahadur Shrestha, who is also the chair of EDCLF. The writ demanded implementation of effective measures against pollution, stating that the unchecked pollution is severely jeopardizing the health of the general public. Soon after the writ, the Supreme Court issued an interim order on February 1, 2017, instructing the government and authorities concerned to take effective measures to control dust and smoke pollution in the Valley. The final verdict was announced on January 14, 2018 by a division bench of justices Deepak Raj Joshee and Cholendra Shumsher Rana. The defendants have already been informed of the decision and a copy of the text of the final verdict has been sent to the Judgment Execution Directorate. “The decision can be easily implemented if the government shows willpower. If not, I'm willing to file contempt of court case after giving them reasonable time,” said advocate Shrestha.